¡Hola Amigos! Learning when to use the verbs Ser and Estar in Spanish is one of the most challenging things for Spanish learners, and today I am going to make it easier for you to identify when to use each of them. Watch the video for more examples! Ser and Estar can get really complicated to learn since they seem to follow their own rules on how and when to use each of them. The good news is that there is a very easy way to know when to use one or the other. As you can see, SER usually describes things that are more permanent. So, we use ESTAR for things that are usually not permanent. Of course there are exceptions to this rule, but this is basically how SER and ESTAR work. Next time you are having a conversation in Spanish and are not sure about whether to use one or the other just stop a little and think about what you are about to say. Is that permanent? Can that change at some point? This way you will find it easier to chose between these two verbs. Don’t forget to be patient with yourself. The best students are those who are not afraid to make mistakes, and therefore get a lot more practice in than those who remain silent. Let me know in the comments if you found this information useful. Do you have any other grammar question that you would like me to address in another video/blogpost? I love hearing from you! Also, don't forget to sign up for our newsletter so you can get notifications whenever we post new content. 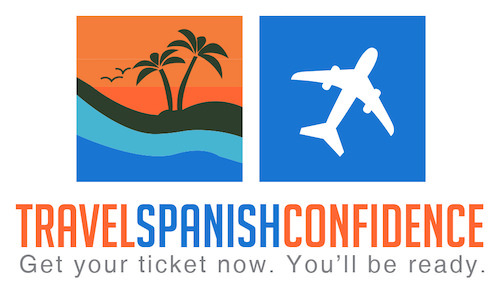 This way you will never miss any of our Spanish and travel tips. ¡Hasta la próxima! Did you find this information useful? Don't forget to Pin it!